"Give Dad a sweet reminder about just how important he is to the little people in his life. 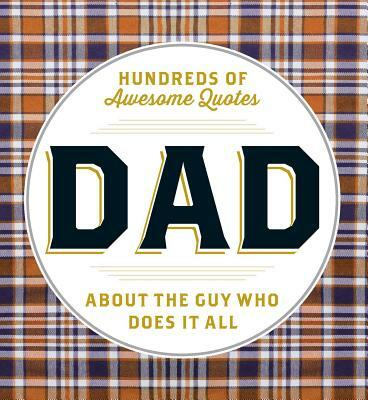 This new book is filled with over 400 awesome and inspiring quotes from well-known personalities and luminaries like Jimmy Fallon, Sidney Poitier, and even Shakespeare, as they share their own memories and thoughts on what it means to be a father. Let Dad read on his own, or share your favorite quotes as a family!" "If you're looking for an excellent gift for your father, husband, or another dad in your life, look no further than this clever little book … .Readers are sure to find inspiration, commiseration, and humor in these quotes … all of them help to get to the heart of what a true father really is. This is a sweet book that you'll enjoy."